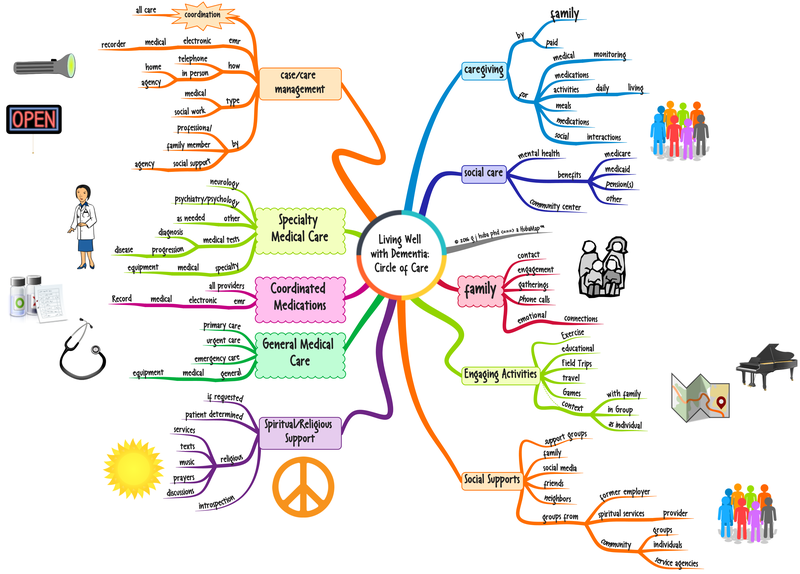 Biggerplate.com is a repository of mind maps created by most of the major mind mapping programs. The maps may downloaded without cost for study of the technical issues in making the map and its content. 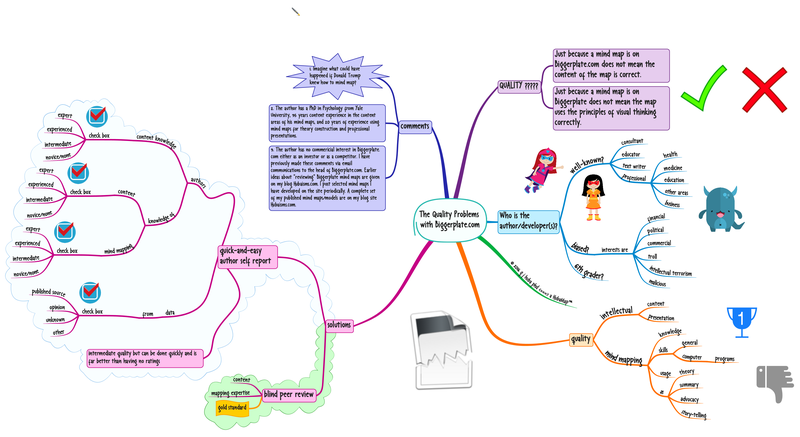 Biggerplate.com is an important and often-used “library” of mind maps used by the world wide community of mind maps and related tools for visual thinking. It is a potentially a wonderful opportunity to learn more about mind maps. So how valid is the information? Is it a fact that 32% of all UK residents do X while 39% of all USA residents do Y valid? 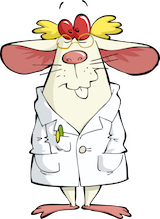 Are the brain diseases listed correctly in the usual way? Are explicit and implied facts correct? Was the map developed by an expert in using the method of mind mapping to enhance visual thinking? Is the author/developer an expert in the content of the map such as a professor or a recognized expert? Can you answer any of my questions in the previous paragraph from information presented on Biggerplate.com? ABSOLUTELY NOT. There is no review of the content validity of the maps nor any review of whether the purported mind map meets the standards of an effective use of a tool to improve visual thinking. Peer review is the gold standard of assessing the quality of intellectual property. In this case peer review is probably not required for 95% of the mind maps on Biggerplate.com where the content is typically commonsense or is information available in accepted textbooks. On the other hand, some information like that in medicine or science or legal opinions or statistics begs out for peer review. The mind model (aka mind map) below suggests at least a minimally acceptable solution in the cases where peer review is probably not needed. At this time we do not know if a mind map author/developer sees herself as an expert or novice in both the theory of mind mapping and visual thinking as well as content of the map. We should at least ask the author to provide information about his qualifications using self ratings. While not a great solution it is a simple and quick one that would help improve the use of the information archived on the extremely useful website Biggerplate.com. Click the image to expand the mind model. 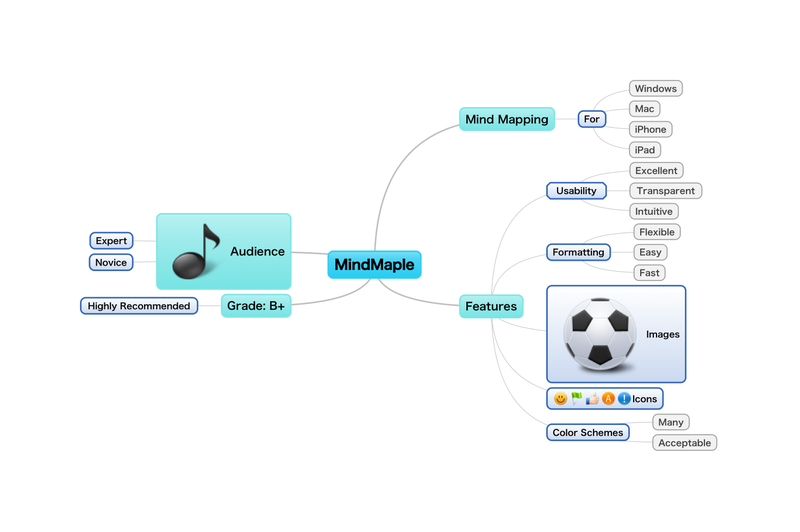 My favorite mind mapping program for the Mac, PC, iPhone, and iPad is iMindMap. I have made no secret of that in this blog for many years. 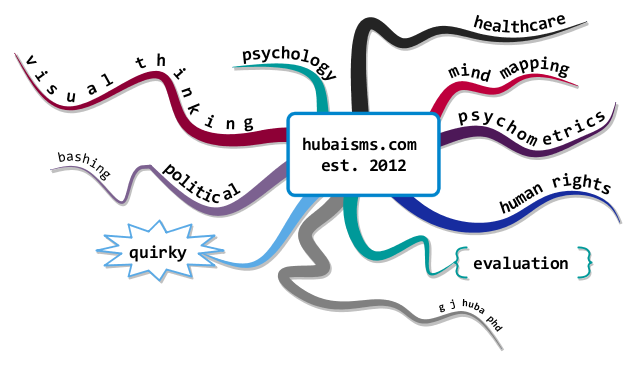 However, I do get a lot of email after people get sticker shock looking at the iMindMap web site. For many the price is out of reach although I believe that iMindMap is expensive but very cost-effective in that you can accomplish more with it than other programs and I think the maps themselves have potentially more impact on a reader. That being said, there are several very inexpensive alternatives that can produce quite good results. One of two current alternatives (the other is MindNode) that meets my criteria for an excellent starting-level program is MindMaple. MindMaple is available for the PC, Mac, iPhone, and iPad. MindNode is not available for the PC. I do not see a lot of differences between MindMaple and MindNode except usability, especially for the novice, where MindMaple has a slight edge over MindNode. MindNode handles inserted images a little bit easier. 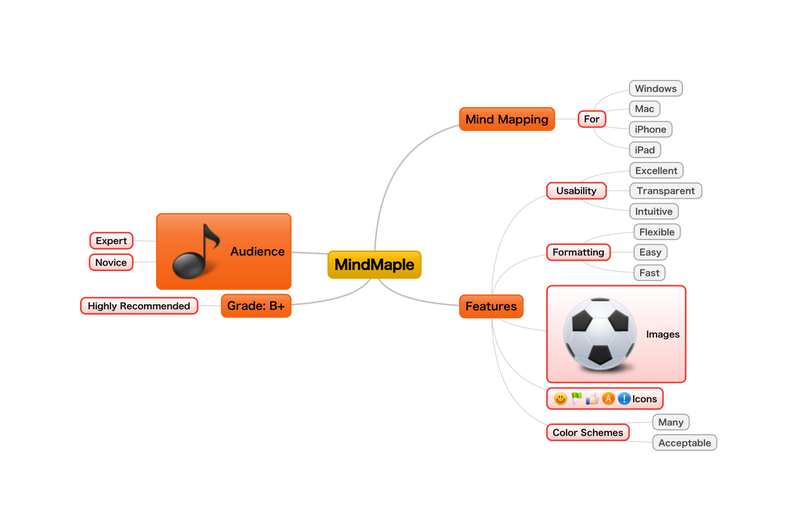 Here are some examples of some mind maps created on the iPad version of MindMaple. Both of the programs work well on the smaller screens of the iPad and iPhone. Click on any of the images to expand it. Stop and review this map of a how to read a map.